We all have been there; our phone starts ringing and we pick it up only to find it is a robocall. If you feel like you are getting more of these calls as of late, your right. The security firm First Orion conducted a study and found that it 2017 robocalls consisted of 3.7% of all cellphone traffic. In 2018, the number of robocalls jumped to 29.2% of all calls. 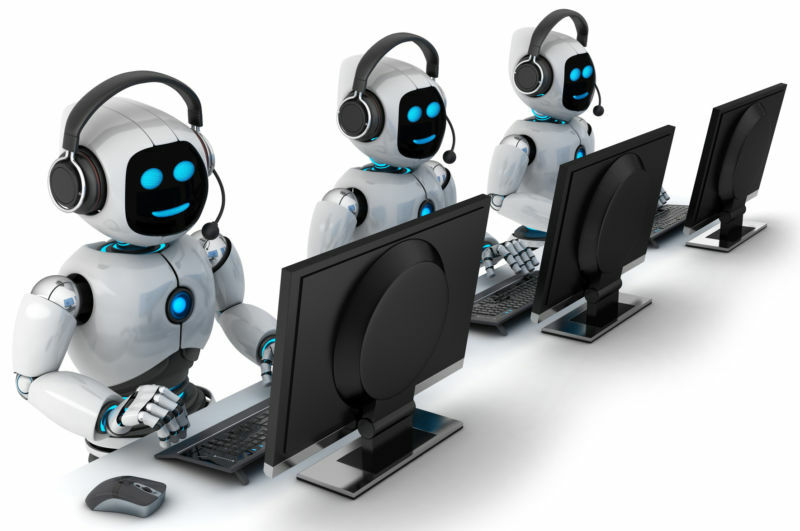 It is estimated that in 2019, robocalls will make up almost 50% of all call traffic. Part of the reason robocalls are spammers new favorite tactic is because they are cheap to execute. The spammers use a strategy called voice-over IP (VoIP) to make their calls. These calls are made over the internet, not a traditional phone line. In doing so, they can imitate any number they want. Call centers used this technology to contact their customers, so they have multiple lines but all show up as the standard company line on the caller ID. Spammers got a hold of this technology and now use it, often using the area code of their targets to increase the likely hood of being answered. First, you should hang up immediately. However, if they get you on the phone do not answer any questions that need to be answered with a ‘yes’. If you get a call from someone from a company or government agency (IRS is a popular one), hang up without giving any information. Following the call, call the number on your statement or on the agency’s website to continue. Lastly, if you get stuck on the phone, even if they pressure you, DO NOT give out any personal information, like Social Security numbers. While there is no perfect solution that will free you completely from robocalls there are some steps you can take to help limit your exposure to them. Some robocalls will show up as ‘anonymous’ or ‘restricted’ on your caller ID. Chances are if they can’t show a number, you’re not missing anything important. However, robocalls are also showing up as local numbers as well. If you don’t want to waste your time, it be better to ignore numbers that you don’t recognize. If it is a legitimate call, they will leave a message for you. The National Do Not Call Registry was created by the FTC to help curb telemarketer calls. Legitimate telemarketers will consult the list before calling. Joining is free, go to the donotcall.gov. Then follow the steps to register your number. Be sure to read their FAQ page to understand what it covers. This list will not make you immune to robocalls, spammers do not follow it, but it is an added layer of protection. AT&T: users can download AT&T Call Protect for free. It will automatically block fraud calls and give spam warnings. It also has a feature for the user to manually block unwanted calls. Verizon: users can take advantage of Verizon’s Caller Filter which will detect and block spam calls. There is a advanced version with more features that costs $2.99 per month per line. T-Mobile: Scam ID is part of the T-Mobile network. It will automatically identify spam numbers that call your phone. T-Mobile also offers Scam Block which allows you to block those numbers. Check with you local T-Mobile provider to see if your plan qualifies for this service. Sprint: Sprint offers Premium Caller ID that helps its users protect themselves from caller ID spoofers or robocalls. It costs $2.99 per month and will give you a real time indicator on how suspicious the call is. Another way to stop annoying calls from plaguing your smartphone is to download a third-party app from the App store or Google Play. They will reference crowd sourced lists of known robocallers. There are some that are free, but some are paid monthly or annually. Popular ones include Truecaller, Hiya, Call Control, and many others. If you are serious about not getting any calls, you can use your phone’s ‘do not disturb’ feature. This will block all calls from reaching your phone until your turn the feature off. In doing so you may miss legitimate calls, but it is an effective way to make sure you’re not bothered. There is no perfect way to removing robocalls from your life. Everyone one gets them, and as they become more popular, they will only increase in frequency. The major carriers and FCC are working on ways to limit them but for now these steps will help limit the spammers to your phone. Even the head of AT&T will receive one. If you found this post interesting or helpful, check out our other posts!